As long as J.J. Hardy is out, Craig Counsell is the most likely candidate to replace him. Personally, I think Bill Hall should get an opportunity to start at shortstop sometime this week. 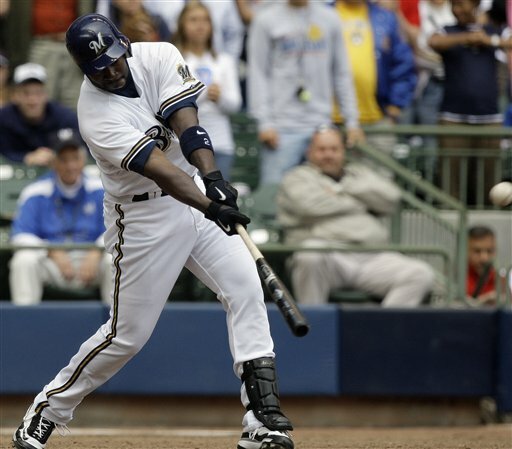 Hall, who drove in the game winner today for Milwaukee, has a better arm and more range than Counsell, despite his recent hitting woes. I think, especially against a lefty, Hall deserves a look at the position. Counsell proved today, on the first hit of the game surrendered by Yovani Gallardo, he does not have the arm to be an elite shortstop at the MLB level. If I were him, I would be glad the Cardinals managed one more hit off Gallardo, because a hit like that is not the one you want to be the only hit allowed in a ballgame. Hall, on the other hand, has a cannon. If he had fielded that ball, just as with J.J. Hardy, there’s a good chance Gallardo’s no-hit bid could have been intact. It’s clear manager Ken Macha and the Brewers want to keep Mat Gamel in the lineup whenever they can, so why not shift Hall to shortstop? You could even play Counsell at second base if he is preferred in the lineup over Casey McGehee. Yes, Hall has struggled against right-handed pitching this season, but the best way for him to get out of that slump is to face more right-handers, not by riding the bench. And besides, he sure looked good today against righty Kyle McClellan.